I have a due date! Everything I’ve been working on is slowly coming to fruition. My due date is this Friday, May 23. Come that morning, I will be launching the whole new vision of PBi (PlacentaBenefits.info). Not only is there a whole new look for the site (which rocks), but I am going to be unveiling my latest “baby”. That is the PBi Placenta Encapsulation Specialist® Certification & Training Course. Ironically enough, I have been working on it for 9 months now. It has been quite the project, but I am so excited to present it to everyone. Thanks for everyone’s patience, as I know many of you have been waiting for this. 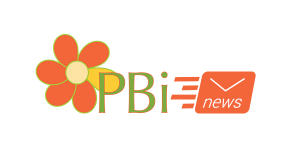 I now have a signup form on the main page of the PBi site, so add your email to make sure you get the latest information as it comes available. I’ll be sending special email announcements this week before the launch, and you won’t want to miss those.